Zen.nl Haarlem provides zen meditation training to everyone interested in an active, energetic and relaxed way of life. Zen.nl's training methods are well-established and have proven to be effective, practical and inspiring. Zen means concentration. Zen meditation is a way to train your awareness and focus and it brings greater quality to everything you do and experience. It enables you to remain balanced, energetic and creative in an active life, and in a culture that may not be your own. Zen meditation is to your mind what sports is to your body. The Zen tradition originated in China about 1500 years ago and developed further in Japan over the last 800 years. Its practical, down-to-earth philosophy and training technique found its way to the West in the last century. Zen meditation is practiced by managers and mothers, doctors and fathers, artists and athletes, professionals and students alike. It helps them to function and sleep better, and to lead happier and more fulfilling lives. Zen.nl Haarlem offers meditation training and zencoaching in English for individuals and groups. Workshops and courses at introductory and advanced level are organised regularly throughout the year. Shortly an introductory course will be organised on sunday or tuesday evenings. Please make your preference known in the remarks field of the subscription form. Planning of new activities takes place twice a year, based on expressed interest. For information please contact us at pia@zen.nl or 00 31 (0)6-28459399. Zen.nl Haarlem, Tempeliersstraat 63 zwart, Haarlem. 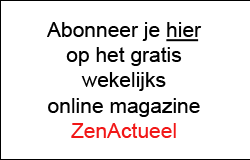 How did you find out about Zen.nl? For our terms and conditions see this page. voor Kort Beroepsonderwijs en is CRKBO geregistreerd.